2018 - ปัจจุบัน ผู้ตรวจประเมินระดับหลักสูตร ขึ้นทะเบียนเป็นผู้ตรวจประเมินคุณภาพการศึกษาจากสกอ. Bancha Yingngam, Karnnuttha Tantiraksaroj, Thitima Taweetao, Wandee Rungseevijitprapa, NuttapunSupaka, Adelheid H.Brantner. Modeling and stability study of the anthocyanin rich maoberry fruit extract in the fast dissolving spray dried microparticles. Powder Technology 2018; 325(1): 261-270. Yingngam B1, Brantner A2, Jinarat D1, Kaewamatawong R1, Rungseevijitprapa W1, Suksamrarn A3, Piyachaturawat P4, Chokchaisiri R5.. Determination of the Marker Diarylheptanoid Phytoestrogens in Curcuma comosa Rhizomes and Selected Herbal Medicinal Products by HPLC-DAD.. Chem Pharm Bull 2018; 66(1): 65-70. Naphatsorn Kumara, Wandee Rungseevijitprapa, Nual-Anong Narkkhong, Maitree Suttajit ,Chaiyavat Chaiyasuta. 5α-reductase inhibition and hair growth promotion of some Thai plants traditionally used for hair treatment. Journal of Ethnopharmacology 2012; 765-771(139): . Bancha Yingngam, Nuttapun Supakaand Wandee Rungseevijitprapa. Estrogen-like activities and cytotoxicity effects of Thai herbal medicines as natural ingredients in anti-ageing. Journal of Medicinal Plants Research 2011; 5(31): 6832-6838. Thapana Kumar Chaiyavat Chaiyasut Wandee Rungseevijitprapa and Maitree Suttajit. Screening of steroid 5 -reductase inhibitory activity and total phenolic content of Thai plants. Journal of Medicinal Plants Research 2011; 5(7): 1265-1271.
chaiyavat Chayasut, Thapana Kumar, Pramote Tipduangta and Wandee Rungseevijitprapa. Isoflavone content and antioxidant activity of Thai fermented soybean and its capsule formation. African Journal of Biotechnology 2010; June(9(26)): 4120-4126. W. Rungseevijitprapa and R.Bodmeier. Injectability of biodegradable in situ forming microparticle systems (ISM). Eur.J.Pharm.Sci. 2009; 36: 524–531. Wandee Rungseevijitprapa, Gayle A. Brazeau, James W. Simkins and Roland Bodmeier.. Myotoxicity Studies of O/W-In Situ Forming Microparticle Systems.. European Journal of Pharmaceutics and Biopharmaceutics 2008; May(69(1)): 126-133. Walaiporn Tiaprasit, Bancha Yingngam, Wandee Rungseevijitprapa. 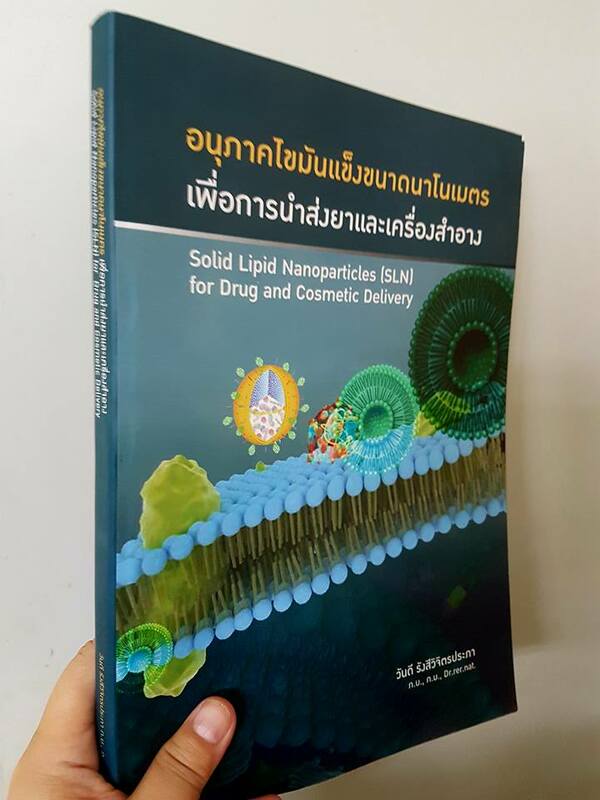 Lipid nanoparticles containing sesame oil for skin occlusion.. Isan Journal of Pharmaceutical Sciences 2018; Inpress: . Damrongsak Jinarat, Bancha Yingngam, Apichart Suksamrarn, Wandee Rungseevijitprapa. Development and Characterization of Curcuma comosa Extract Loaded Nanostructured Lipid Carriers. Isan Journal of Pharmaceutical Sciences 2017; 13(Supplement): 163-172. Sureewan Duangjit, Pattaraporn Ruangkarnjanapaisarn, Thanattha Inta, Wandee Rungseevijitprapa. An approach for determining the accelerated stability during the optimization of ellagic acid loaded transfersomes using the computer program. Isan Journal of Pharmaceutical Sciences 2016; 11 (Supplement): 112-123. Sureewan Duangjit, Wikanda Seepanbal, Nalintip Neanghemmarach, Wandee Rungseevijitprapa. Development of Curcumin and Piperine floating microspheres in acidic condition. Isan Journal of Pharmaceutical Sciences 2016; 11 (Supplement): 101-111. Sureewan Duangit, Thanattha Inta, Pattaraporn Ruangkarnjanapaisarn, Wandee Rungseevijitprapa. Effect of Cholesterol and Oleic Acid on Physochochemical Properties and Stability of Liposomes. Isan Journal of Pharmaceutical Sciences 2016; 11 (Supplement): 1-13. Thanissa Ramrit, Bancha Yingngam, Wandee Rungseevijitprapa. Development of Triphala Niosomes. Isan Journal of Pharmaceutical Sciences 2014; January-April(Vol.9 (supplement)): 22-26. Sophita Bhongmaliwal, Sutharut Kampangta, Bancha Yingngam, Wandee Rungseevijitprapa. Conservation and development of traditional Thai lip care products for business extension. Isan Journal of Pharmaceutical Sciences 2014; January-April(9 (Supplement)): 44-49. Bancha Yingngam, Nuttapun Supaka, Wandee Rungseevijitprapa. Cytotoxicity Study of Niosomes on Fibroblasts. Isan Journal of Pharmaceutical Sciences 2013; January-April(Vol.9, Number 1): 133-136. Panikchar Wichayapreecha, Bancha Yingngam, Nattawut Charoenthai and Wandee Rungseevijitprapa. Development of finasteride proniosomes for trasfollicular delivery. Isan Journal of Pharmaceutical Sciences 2013; January-April(Vol.9, Number 1): . Wichayapreecha P, Yingngam B, Rungseevijitprapa W. Formulation optimization of finasteride proniosomes using response surface methodology. Isan Journal of Pharmaceutical Sciences 2012; February 11 – 12: 105-111. Yingngam B, Supaka N, Urasopon N, Rungseevijitprapa W.. Efficacy for Delaying the Loss of Skin Elasticity of Fermented-Soy Extract Encapsulated Nano-, Micro. Isan Journal of Pharmaceutical Sciences 2011; February 11 – 12: . Nopparat Pitchaiprasert, Orapin gerdprasert, Wandee Rungseevijitprapa. Investigation of Essential Oil Encapsulated Niosomes on Dermal Papilla Cells Proliferation. Isan Journal of Pharmaceutical Sciences 2011; February 11 – 12: . Somrudee Reabroi, Siriwan Srisangwan, Thidarat Narumitmontri, Oranuch Thanaketpaisarn, Wandee Rungseevijitprapa. Chitosan nano- and microparticles for Ovalbumin Intranasal Delivery. Isan Journal of Pharmaceutical Sciences 2011; February 11 – 12: . Sasithorn Pansomsuay, Sarinthip Dejsatarn, Wandee Rungseevijitprapa. The Stability enhancement of Papain Enzyme by Complexation with Hydroxypropyl-Beta-Cyclodextrin. 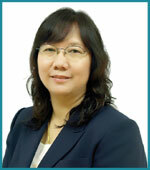 Isan Journal of Pharmaceutical Sciences 2011; February 11 – 12: . Sirinan Phutthala, Rodjarekha Wannasri, Sunida Khamha, Zongporn Joungmunkong and Wandee Rungseevijitprapa. Rice Bran Oil Nano Structure Lipid Carrier (NLC) for Improved Skin Hydration. Isan Journal of Pharmaceutical Sciences 2011; February 11 – 12: . Wandee Rungseevijitprapa. Development of oral isoniazid and rifampicin microspheres. Isan Journal of Pharmaceutical Sciences 2009; January-April(Vol. 5(1)): 63-73. Sineerat Wantong, Pariyakorn Sublee, Sirilak Tepchan, Warisada Sila-On, Uracha Ruktanonchai, Wandee Rungseevijitprapa. Ion pair complex for drug delivery system. Isan Journal of Pharmaceutical Sciences 2008; July-December(Vol. 4 (2)): 140-150. Bancha Ying-ngam, Nuttapun Supaka, Wandee Rungseevijitprapa.. 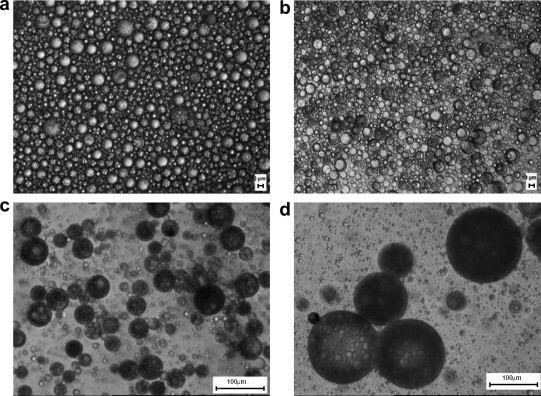 Preparation and characterization of nonionic nano-vesicles prepared from various surfactant types. Khon Kaen University Research Journal 2008; May(13): 566-571. Bancha Ying-ngam, Yaowaluk Phimpanit, Nattaya Wongkasemchai, Warisada Sila-On, Wandee Rungseevijitprapa. Encapsulation of rice bran oil in solid lipid nanoparticles (SLN) for skin hydration and viscoelasticity. Isan Journal of Pharmaceutical Sciences 2007; July-December(Vol. 3(2)): 8-22. Wandee Rungseevijitprapa and Chutinun Prasitpuriprecha. Development of Eugenia grata extract film strip for oral hygine. Isan Journal of Pharmaceutical Sciences 2007; 3: 17-24. Chutinun Prasitpuriprecha, Wandee Rungseevijitprapa and Chaivat Chaivasut. Antimicrobial activity of biological fermented products from northeastern Thai indigenous vegetables. Isan Journal of Pharmaceutical Sciences 2007; 3(3): 60-69. Bancha Yingngam, Yaowaluk Phimpanit, Nattaya Wongkasemchai, Wairsada Sila-Orn, Wandee Rungseevijitpr. Development of Rice Bran Oil in Solid Lipid Nanoparticles (SLN) for Skin Nourishment.. Isan Journal of Pharmaceutical Sciences. 2007; July-December(3(2)): 8-22. Chaowalit Monton, Sarawut Phermphoonkunarak, Oranuch Thanaketpaisarn, Uracha Ruktanonchai, Wandee Ru. Development of polymeric microparticles for oral vaccine delivery.. Isan Journal of Pharmaceutical Sciences. 2007; July-December(3(2)): 44-52. Bancha Yingngam, Wandee Rungseevijitprapa. Molecular and clinical role of phytoestrogens as anti-skin-ageing agents= A critical overview. Phytopharmacology 2012; 3: 227-244. Wandee Rungseevijitprapa. Wandee Rungseevijitprapa editor. Solid Lipid Nanoparticles for Drug and Cosmetic Delivery. Ubon Ratchathani: Ubon Ratchathani University; 2011.